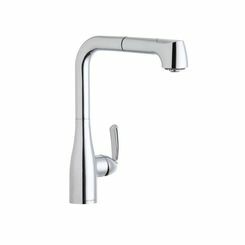 If you're looking for a faucet to upgrade your kitchen, you might want to consider the LKGT1041NK from the stylish Gourmet collection of Elkay. 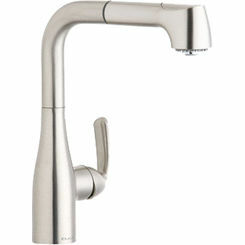 The LKGT1041NK is a single-hole kitchen faucet with a pull-out spray in a popular brushed nickel finish. It aims to provide convenience with its high and mid-rise base options for easy installation. 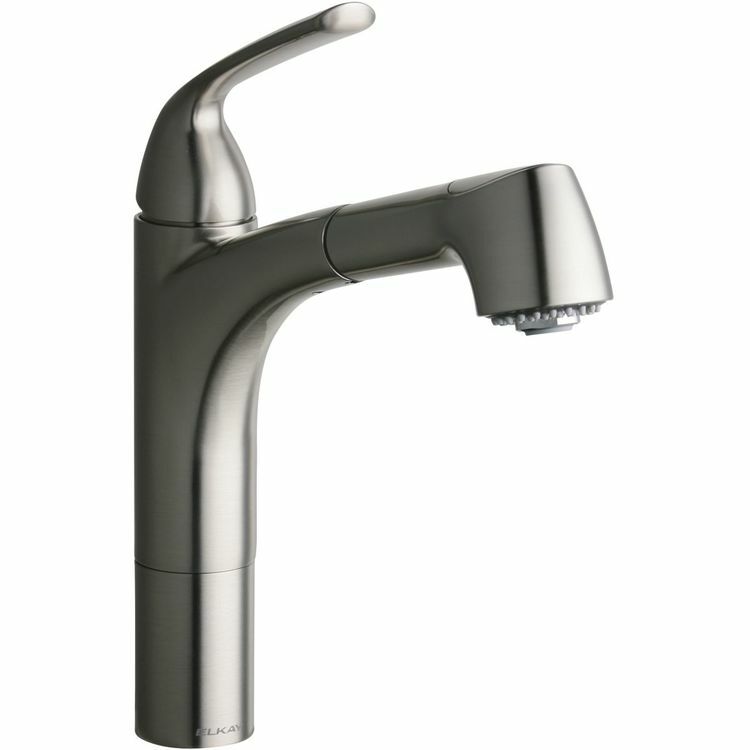 Both the water volume and pressure can be controlled with just the use of a single-lever handle. It comes with the two-function pull-out spray that allows you to easily choose between a stream and spray to meet your needs, while the pull-out spray head provides additional cleaning coverage. 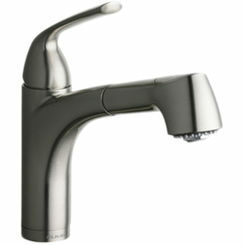 This deck-mounted kitchen faucet uses an efficient flow rate of 1.75 gpm and stands 11" high with a spout reach of 10-1/8".  A ceramic disc valve with a 3/8" female compression hose assembly is included. 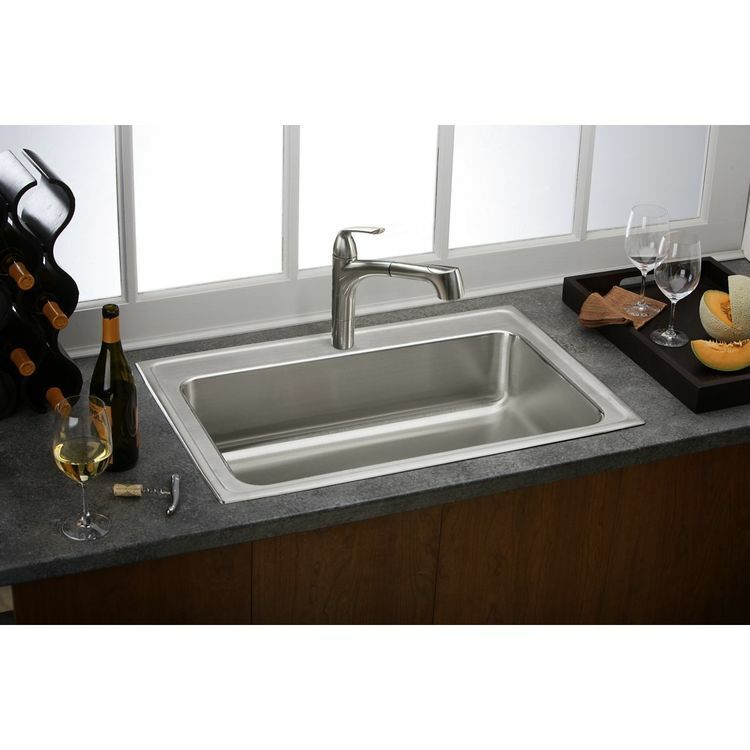 Designed to be installed in a 1-hole drilling with a hole size of 1-3/8", this sleek faucet can even be installed on a countertop as thick as 2-1/2". It is made of brass that ensures it will hold up pretty well through everyday use in the years to come! 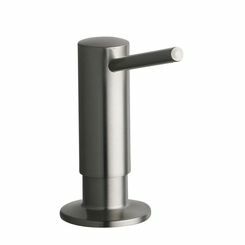 There is also an optional color-matched soap/lotion dispenser available for purchase, the LKGT1054NK. Shipping Dimensions 2.7" x 9.0" x 18.5"